Sergio Aido, currently ranked third in Spain’s All Time Money List, is one of the hottest running young pros in the high rollers scene today. Aido recently won the Macau Poker Cup 26 Single Day High Rollers event then followed it up with two deep runs at the Triton Super High Rollers Series Manila. His total live earnings – this year alone – has already reached an astounding US$1.85M. Immediately after the Triton SHR event, the Somuchpoker.com team got to know a little bit about the fiery Spaniard, having emerged into the Asian poker circuit several months ago. SMP: Congratulations Sergio for running very deep at both events of the Triton Super High Rollers Series. You’ve finished 4th at the opening event, then 2nd at the Main Event. You also ran deep at the previous Triton event, placed 3rd in both events. How does it feel to be running very well? Aido: Thank you. I am just lucky I guess. I have been feeling confident these last six months. I am winning and having a lot of deep runs. I also play in a lot of cash games in Macau, I’ve been living there for the past six months. SMP: Oh you’ve relocated to Macau. Where did you move from? Aido: I was living in London playing online mostly tournaments, but now I play more live cash games and live tournaments. SMP: How was the transition from online to live? Aido: I’ve been playing tournaments for the past five years so I think it is a good mix between my experience in tournaments, short stacking good, and my experience playing here in Asia. I’ve already played some months so I think I already know and learned a lot from the players. SMP: Was it a big game adjustment moving to Asia and playing here? Aido: I think Asians play tighter here than most places. You’d have to know that, if not, then you end up calling a lot. Also in the high roller scene, there are a lot of tight players. SMP: What brought you to Asia? Aido: I have some friends who were playing the cash games in Macau and they were doing well so they told me the games were very good. So I came during Chinese New Year last year and I saw they were good. I came back in October-November then back after the New Year. This is my third time back to Macau. SMP: You said you started playing tournaments five years ago, how did you get started? Aido: I started playing in Spain for one year then I moved to London. I was playing online and I won big. I played the EPT Main Events, four years already. 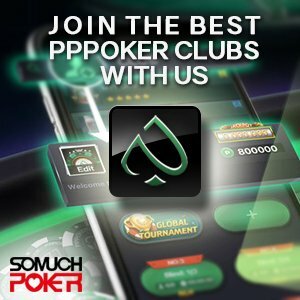 SMP: These days you are tabled with legends such as Phil Ivey, Erik Seidel, John Juanda, how does it feel playing with these big named pros and how did your game change or progress? Aido: I’ve played with many of them before because of the EPT so it is nothing new to me to play with them. My game really didn’t change against them but I wanted to learn more and more. My game progressed by playing a lot and talking hands with a lot of people. SMP: Are you part of a big Spanish contingent in Macau and do you travel together? Aido: Yes. About fifteen of us from Spain will travel together. Next week we are going to play in Los Angeles, then after we go to Las Vegas, San Jose, and Panama but they are not here in Asia with me. I have Spanish friends in Macau but they only play cash games. SMP: Why did you decide to focus on the high roller circuit? Aido: Last year I played the One Drop in Las Vegas and I released a lot of action. I saw that it was worth it because the rake was not very high and the fields are okay so that’s good. I finished 14th. That was the highest buy-in tournament I’ve played at that time. After that, I decided to play these events. It has better value, that’s what I look for. SMP: Will you be staying in Asia for a while? Aido: I will be in Macau for the PokerStars Championships and the next Triton series. I will play the SCOOP online in May, then Las Vegas for two months and likely back to Asia. SMP: You mentioned earlier you played a lot online in London, can you tell us a little bit about your online journey? Aido: I started playing online on the mid-stakes level. I qualified for the US$1K SCOOP back in 2012 and I finished 3rd. I cashed around US$150K and that was really the start. I also began playing live tournaments after that and then I moved to London to play more. I played many of the tournaments there, playing online in PokerStars, 888Poker, and PartyPoker. SMP: And what was your largest takedown online? Aido: My biggest was at the SCOOP 2013, just when I moved to London. I reached the final table of the Main Event, it was US$10K buy-in. I finished 5th for US$613K. SMP: Do you still play online? Aido: I don’t play much online anymore. I don’t have time. I just play the SCOOP and WCOOP. Also living here in Asia, you have to start playing the tournaments late at night at 2am. Not very healthy. SMP: What are your goals? Are you chasing anything? Aido: I wanted to play the Aria – Super High Roller Bowl – US$300K buy-in event but there weren’t enough seats, only 56, so they did a lottery. I didn’t get a seat. SMP: That’s unfortunate. So next up for you are several events outside of Asia. It looks like you will be traveling quite a lot this year. Aido: Yes I will be but I’ve been traveling for the past four years. I was traveling a lot when I was in London and I played all the EPTs and Las Vegas too. I’ve cashed in 15 different countries around the world for tournaments. SMP: Wow congratulations that’s fantastic! Well we wish you all the luck on your next tournament. Thank you for taking the time to chat with us.